In a small bowl mix the lemon juice, oil, Splenda, salt and pepper and set aside. In a large bowl, mix the kale and chard leaves and top with seeds and onions, pour dressing over the top and mix. Top with cheese. 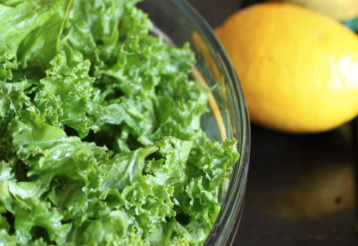 This entry was posted in Metabolic Medical Center Recipes, Vegetables and tagged kale, lemon juice, lemony kale salad, metabolic diet recipes, pumpkin seeds, Salad, side dish, swiss chard, Vegetable, vegetarian by foodies4mmc. Bookmark the permalink.